Turning 35 is like half of your life gone…and I hope that the half that is yet to come is far better than the half that has passed…happy birthday my friend.. Your birthday reminds me of all the moments that we have spent together enjoying..and I pray to god that the fun never ends..happy 35th birthday my dear friend..
Oh wow so you’ve turned 35…guess its time for you to appear in those anti wrinkle cream advertisements…hahaha…happy birthday my old friend..
Birthdays are like milestones…each year you get a chance to reflect at your life and decide what you want to do in future…. I hope your 35 milestones have been fruitful and that the milestones yet to come are way better..happy birthday!! Let us go out tonight and show the whole world that being 35 cannot stop us from being as bad as we were when we were 20!!! Happy birthday my friend and let’s do it like the old times!! Seems like just yesterday when I held your tender form in my arms…35 years have gone so fast… happy birthday my dear son..God bless you..
All these years I have always looked up to you as an inspiration and on the occasion of your 35th birthday I would just wish that you continue to prosper in future so that I can follow your footsteps..happy birthday my bro!! Happy 35th birthday to the cutest and the most adorable sister in this world…you may turn a 100 hundred years old…but for me you’ll always be my little baby sister..god bless you!! Well I seem to be one of those few who still got you a gift..oh I should have realized that you’re 35 now..heheh…happy birthday dear!! You have been the apple of my eye and my sweetie pie….happy 35th birthday to my evergreen hero!! Love you!! I can still remember the day you were born you looked at me with your little eyes….happy 35th birthday my dear girl…stay blessed now and forever. Parrrttyyyy!!!! Oh yeah baby…tonight we are going to have a hell of a night…and all the expenses will be borne by you of course!! Hahaha…happy 35th birthday my friend!! Wishing you a very happy, crazy, sassy, classy and mindblowing 35th birthday!!! Enjoy while you can as I can clearly see that you’re getting older!! I pray to god that he blesses you with all the good luck and prosperity for the coming year of your life..happy 35th birthday my dear friend.. 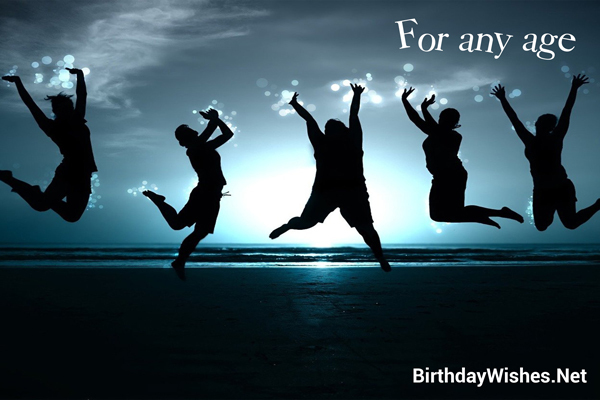 Check out this amazing collection of 35th birthday wishes, the 35th birthday wishes on this page incorporate the messages from these article, but feel free to add your own.